Jude Law signed 8x6 inch photo. 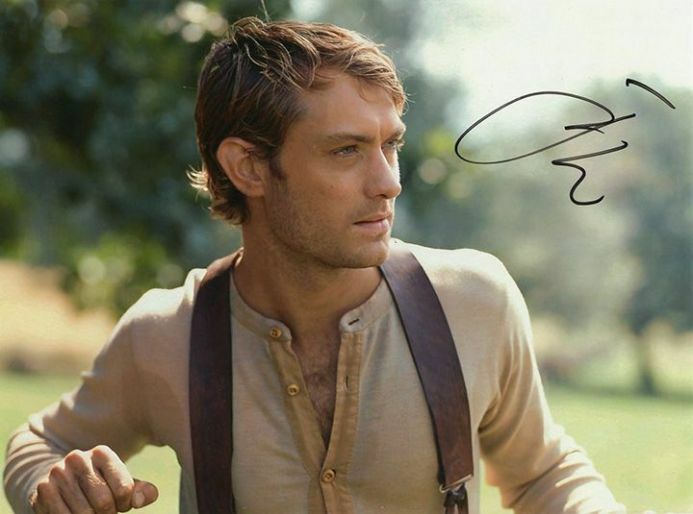 Jude Law, signed 8x6 inch photo. 8x6 inch colour photo personally hand-signed in black sharpie pen by English actor, Jude Law. Law's notable film roles include Gattaca (1997), The Talented Mr Ripley (1999), Road to Perdition (2002), Cold Mountain (2003), Alfie (2004), Hugo (2011) and The Grand Budapest Hotel (2014).